It is always so exciting to walk into the huge tent full of plant vendors. 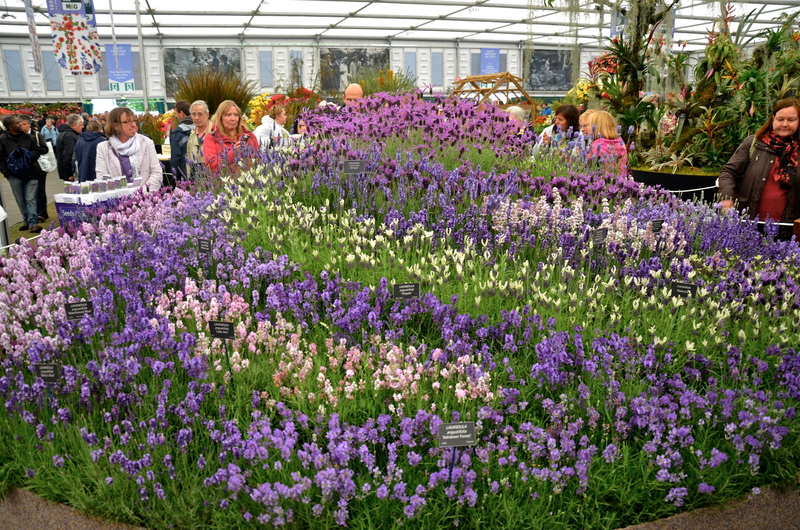 Everything from spring daffodils to foxgloves, herbs, roses, vegetables, trees and even this stand just of lupins. It makes you drool. I am like a kid in candy store (or as we say in England in a “sweetie shop”). The fragrance from the luscious lavender display is nose ticklingly delicious. I am a lavender addict. 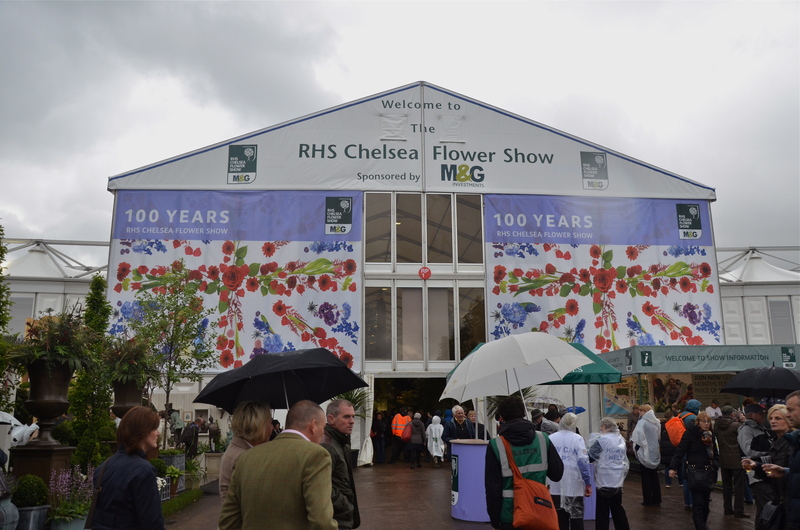 The May 2013 Chelsea Flower Show was the Centenary of the show being at the Chelsea site. 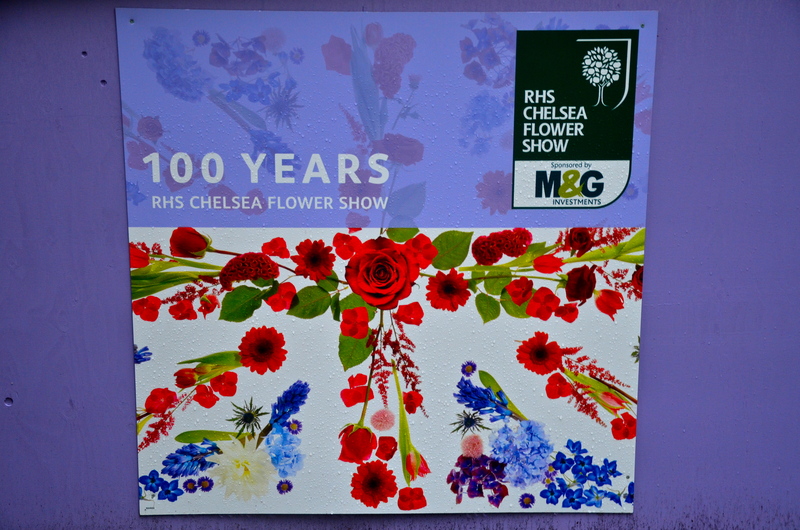 M&G Investments sponsored this show garden “Windows Through Time”. 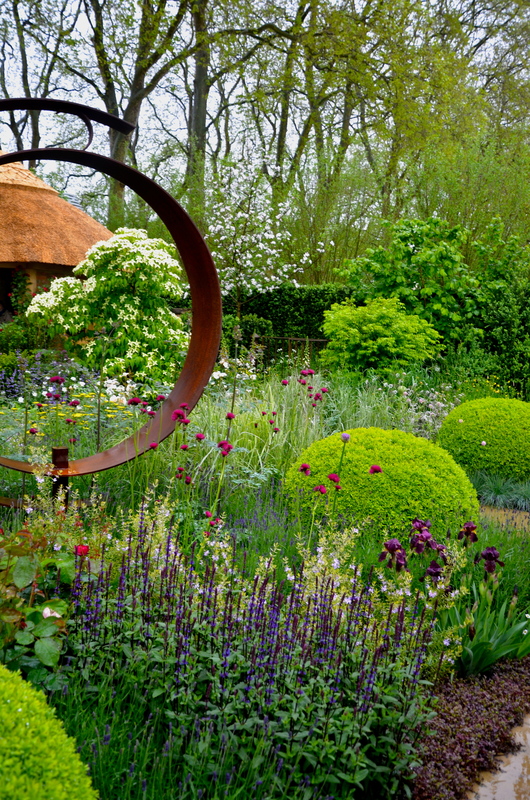 Clipped globular boxwood, perennials in a soft palate and waving grasses were seen through the circular metal sculpture. The soft English light brought out the gentle colors. Across the Avenue was this stunning outdoor garden sponsored by “Arthritis Research UK” and designed by Chris Beardshaw. 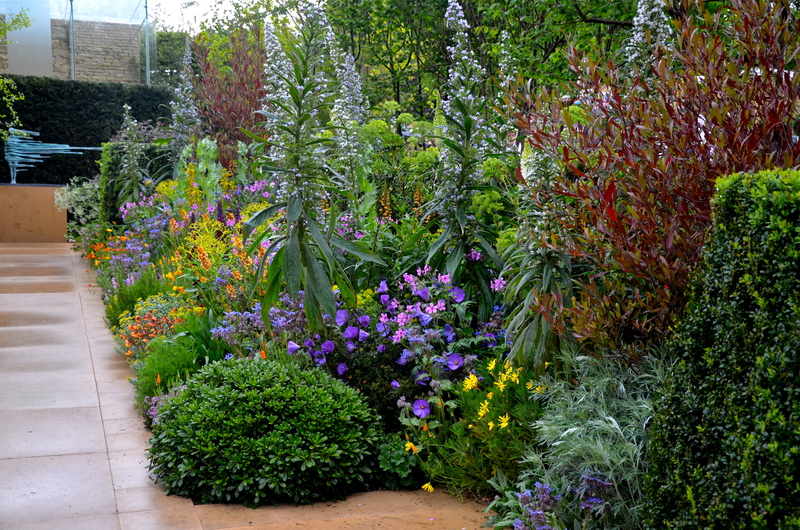 An axial design with an eyecatching sculpture at the end of a beautifully laid path, flanked by overflowing borders of pastel colored flowers. My favorite comment while standing at this garden was, “well there is nothing that I can grow in this garden.” Trying to be helpful but maybe a little nosey, as I heard an American accent, I asked, “Where in America are you gardening?” Her response was, “California.” I didn’t like to point out that several of the plants were native to California (California Poppies) and there were some more Mediterranean ones that probably would grow there. 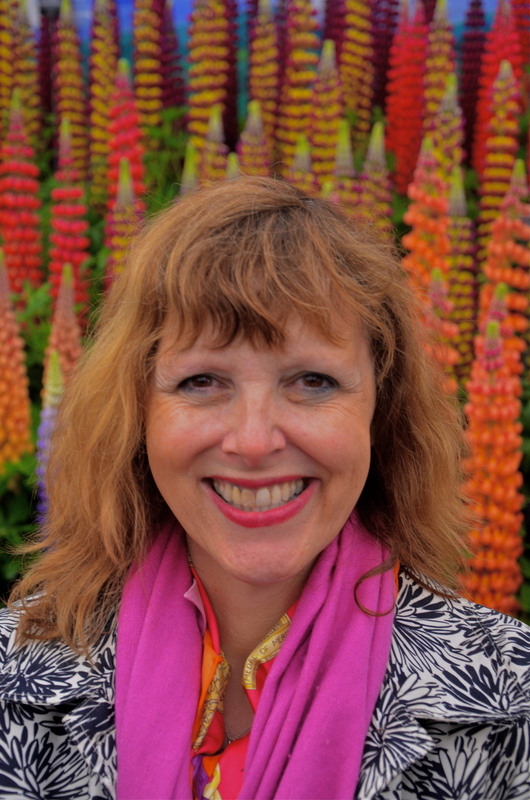 Chatting with the designers, installers, vendors and members of the visiting public is one of the joys of the Chelsea Flower Show. 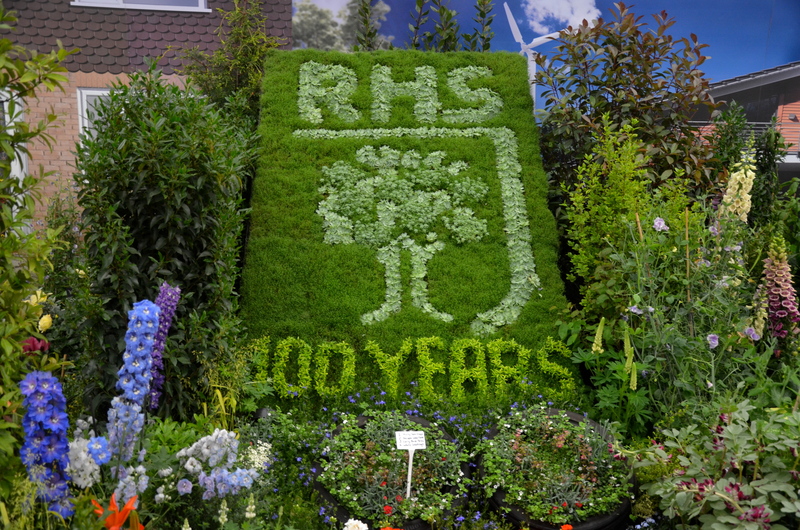 Several other organizations had a Centenary year in 2013. In the Pavilion was a fascinating exhibit by the East Malling Research Station, based in a village in Kent in the South-East of England. It happens to be the village where I grew up. They were started to research fruit growing. Any of you that are avid apple tree growers will know the “Malling” Root stock (pronounced- Mauling). They had a team of people excavate the entire root system of an apple tree. It took weeks. 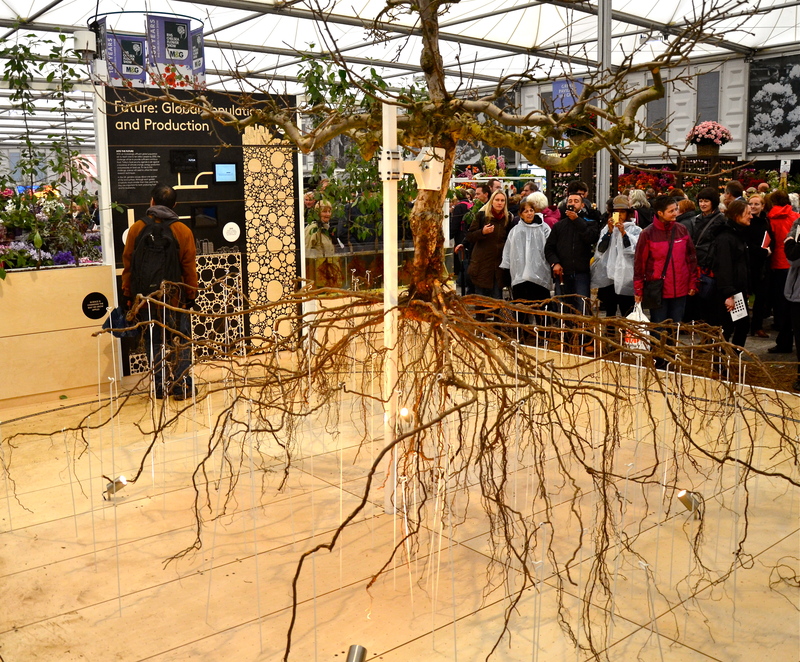 This was a crowd pleaser and so educational as many people, even gardeners do not pause to think of the extent of the roots hidden under the soil. 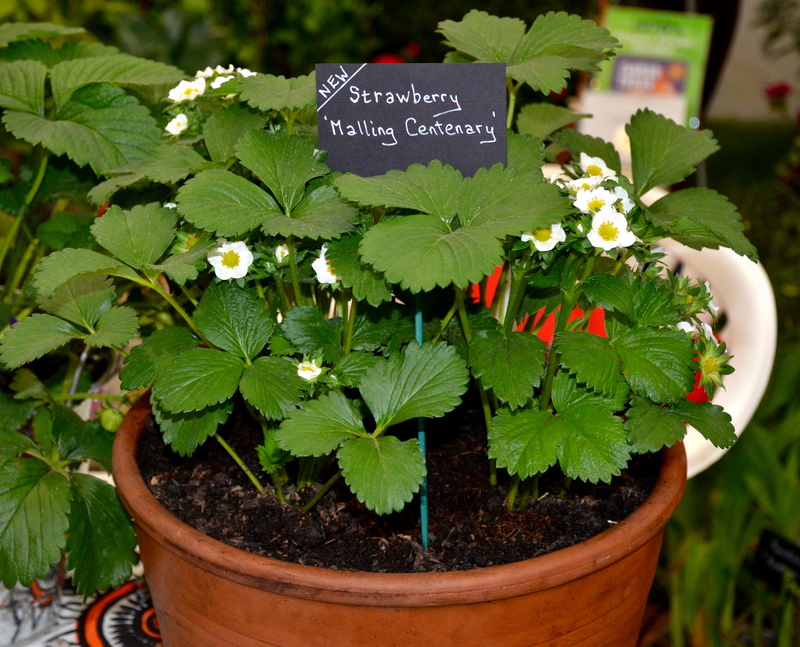 This is the new strawberry cultivar released to celebrate 100 years of fruit growing research. My summer jobs, as a child in East Malling were picking strawberries, (a long way down to the ground) and gooseberries (the bushes were way too spiny). There are only a few “brolleys” or is that “brollies”? (umbrellas) in this picture. In typical British fashion nobody even cared as they were having too much fun. Lots more steaming hot tea was consumed to warm up chilly hands. Yet another celebration of 100 years. This one was a lovely display in the Pavilion by the Garden Club of America. 1913 is their Centennial (rather than Centenary?). Founded in Philadelphia as a primarily women’s organization, this organization has 200 clubs and now spreads from the East coast to Hawaii. 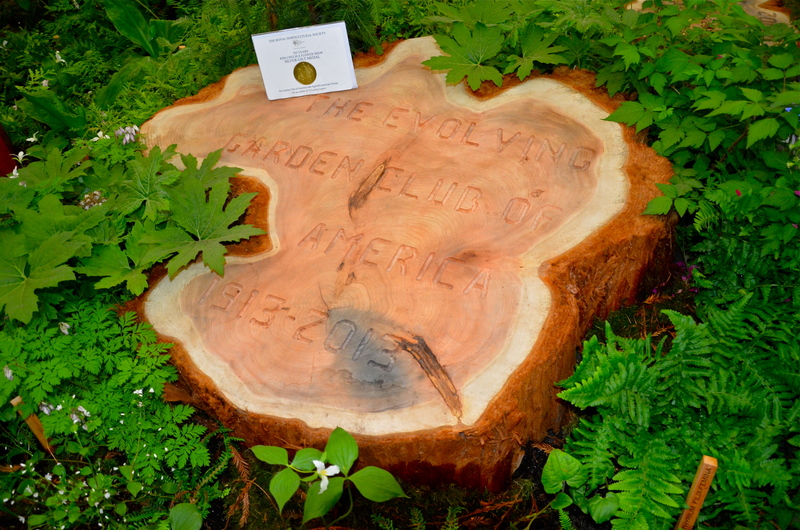 Their exhibit featured many Garden Club of America milestones including their pivotal role, in the 1930’s, in saving areas of the Redwood Forest in California. Lipsmacking color (or should I say colour- since we are at Chelsea). 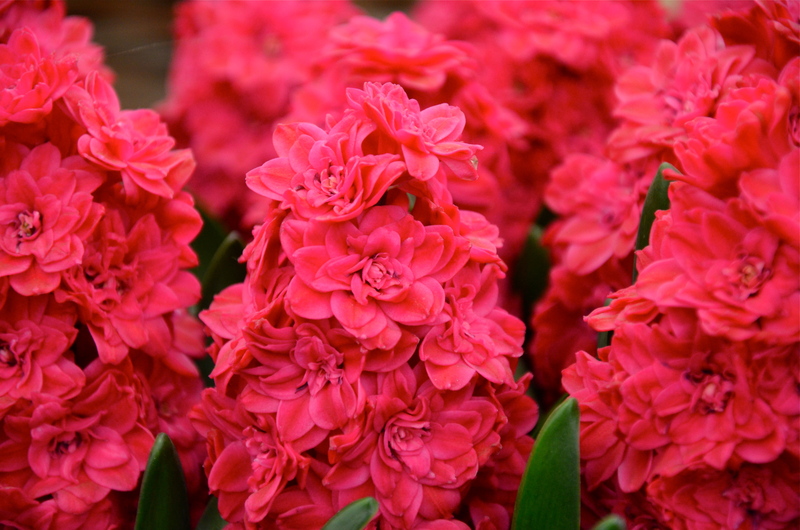 This double hyacinth is confusingly named ‘Hollyhock’. I grow it in my Spring Garden at Northview and I love the punch that it brings to the garden.